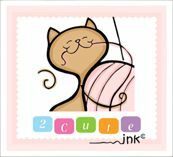 So if you are part of the 2 Cute Ink Digital Stamps Club you already have these super cute New digital stamps! Club members get designs 5 days earlier along with a bonus exclusive digi for club members only! Today I have released all 5 New digital stamps in my 2cuteink etsy shop so now everyone has a chance to buy some of their favorite new digital stamps! I am very excited for the new year and can't wait to create new art for everyone.